Palo Alto Networks® users near you are connecting in person to stop cyber threats in their tracks. Attend a local chapter meeting for a day of networking and education with like-minded peers. You'll share real life experiences, join hands-on workshops, and hear from expert speakers on critical topics in cybersecurity. Not sure where your chapter is? Start here. 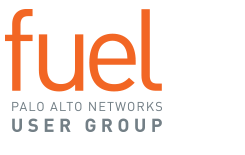 Become a member to get VIP access to all Fuel Events!